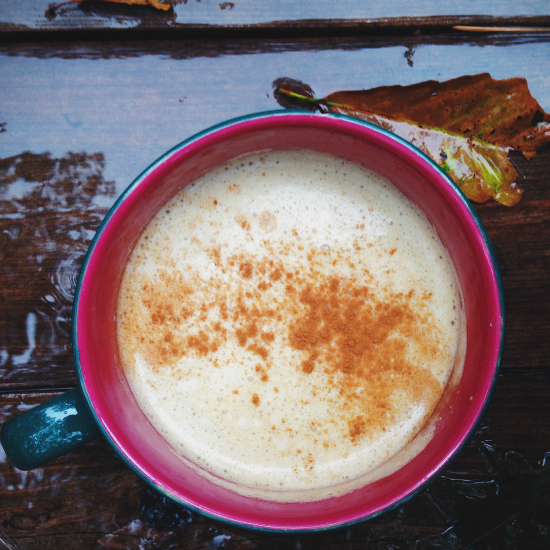 Healthy Pumpkin Spice Latte . Recipe how to cook. Heat almond milk over low heat until simmering. Add all ingredients to high speed blender and process until frothy. Pour into big mugs and top with more chilled coconut milk (if desired). Add more sweetener if you like!